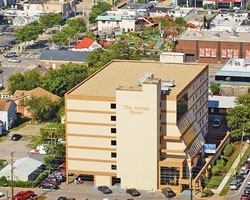 Located in the heart of the Virginia Beach Oceanfront, just blocks away from the boardwalk, the *Atrium Resort* offers a family-oriented atmosphere with an open-air lobby and a relaxing environment with 89 units. 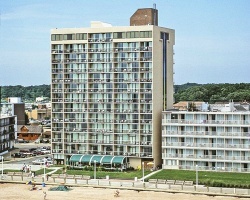 *Barclay Towers* is a beautiful oceanfront property located in Virginia Beach, Virginia! This unique property has been intricately designed so that all guest suites, as well as the exercise room, indoor pool, and whirlpool areas, provide visitors with stunning views of the Atlantic Ocean. In addition to miles of sandy beaches, the area offers fun activities to suit all interests, including golfing, fishing and shopping, plus whale and dolphin tours. There's also the Virgina Beach boardwalk, which is always a crowd pleaser. Williamsburg, Jamestown, and Busch Gardens are within an hour's drive. For more information, visit www.barclaytowerstimeshare.com. *Beach Quarters Resort* is set in a breathtaking location, with all suites featuring stunning views from oceanfront balconies. 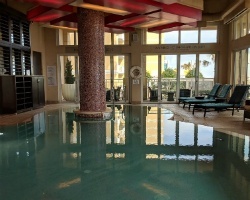 The resort includes a children's game room, rooftop swimming pool, indoor swimming pool, tennis, and a state-of-the-art health club, complete with a tanning salon, sauna, steam room, and massage therapy. You're within walking distance of deep-sea fishing, shopping, museums, dozens of restaurants, and nightspots. Championship golf, horseback riding, Busch Gardens, and Colonial Williamsburg are also nearby. *The Colony* is located directly on the beautiful beach and offers a swimming pool and sauna. 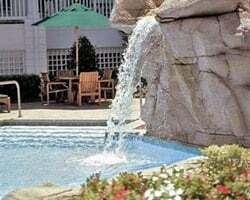 The resort is near the three-mile boardwalk, fine restaurants and shops in the Virginia Beach area for your entertainment. Day trips include Norfolk, Jamestown, Williamsburg and Busch Gardens theme park. 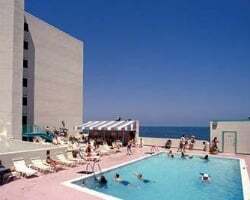 Come to the beautiful *Ocean Beach Club* in Virginia Beach, Virginia! This resort is a favorite with families due to well-maintained beaches, free oceanfront events and plenty of family-oriented attractions! Starting in spring each year, sun lovers flock to Virginia Beach for a traditional beachfront vacation along the Atlantic Ocean! Many visitors are surprised to find free access to the city's well-maintained beaches, with lifeguards that are on duty from mid-May through mid-September, and vendors scattered along the oceanfront who cater to the good life by renting expansive umbrellas and sling-back chairs. 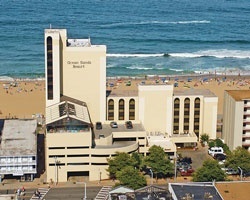 Most of the city's visitors are drawn to the 3-mile area along the city's oceanfront Boardwalk, where numerous hotels and restaurants overlook the beach. Parking is ample here with plenty of on-street parking spaces as well as municipal lots. Virginia Beach is where the Chesapeake Bay meets the Atlantic Ocean in a beach paradise unlike any other! Here, you will find a year-round vacation spot that offers luxury accommodations and relaxing surroundings. Visit nearby Busch Gardens and Colonial Williamsburg, which are only 30 miles away! 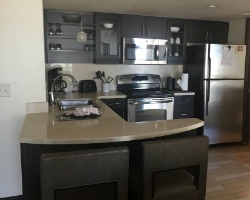 Located at the south end of the Virginia Beach oceanfront between Atlantic and Pacific Avenue, this family oriented resort community is the best place to stay. Enjoy one of these 142 units adorned with beach accents and soft colors. Boardwalk access is close by as well as a full-service restaurant. 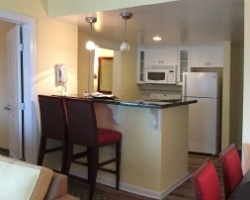 *Ocean Sands* resort is the ultimate experience in vacation ownership! 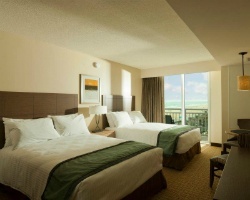 The resort is nestled in the heart of the Virginia Beach Oceanfront and steps away from an abundance of family activities. Water parks, miniature golf, go-karts, museums and, of course, the ocean are just a few of the opportunities for you and your family to create memories that will last a lifetime. *OceanAire at Ocean Beach Club* is part of and right beside well-known Ocean Beach Club, and together they encompass two blocks on Atlantic Avenue right on the beach! 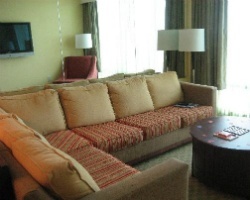 The resort offers incredible suites, balconies and amenities. 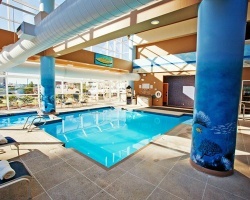 There are 2 outdoor pools and an indoor pool, a wonderful game room, fitness club, and a bar, lounge and rooftop sundeck! Enjoy area attractions, shopping, dining and golf! To discover more, visit www.diamondresorts.com. 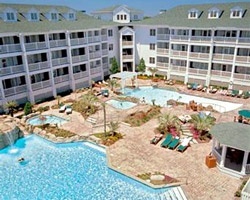 *Turtle Cay* is a Five Star oceanfront resort located in Virginia Beach. From the resort you have a boardwalk just steps away from surfing, skiing, sport fishing, scuba diving, and para-sailing. There are wonderful restaurants to enjoy, you can tour the incredible Virginia Marine Science Museum with 3-D Imax Theater, or visit dozens of golf courses, parks, water parks and concerts. The resort features one and two bedroom suites with Jacuzzi, and attractive views from huge balconies that seat up to five adults. Named in honor of Virginia Beach's most enduring attraction, the new *Villas at the Boardwalk* is the resort area's premier oceanfront destination. Situated directly alongside the historic landmark for which it was named, the Boardwalk offers its guests the most appealing oceanfront location at the beach! 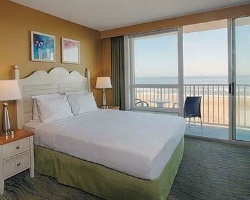 Great oceanfront resort on Virginia Beach! Week 20 every year! Buyer may receive a title fee credit, inquire for details! Reasonable offers Considered! Week 27 - Fourth of July Week! Close to great shops, fine dining, fantastic attractions & more! Inquire today! Motivated Seller! Celebrate the New Year each year in Virginia Beach! 2020 buyer will receive 2 weeks! Buyer may receive a title fee credit. Enjoy the nearby beach or the many onsite amenities offered! Buyer may receive a title fee credit, inquire for details! Annual week 26! Price is negotiable! Buyer May Receive A Title Fee Credit, Inquire For Details!!! 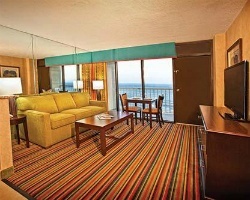 Enjoy this oceanfront resort with lots of amenities! Week 48! Buyer may receive a title fee credit, inquire for details! Family friendly location right on the beach! Enjoy week 12 vacations each year! Inquire for details! Beautiful location with easy access to plenty of activities! Week 32 ! 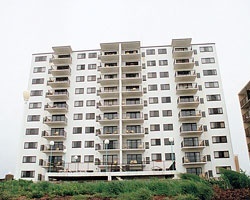 Oceanfront w/ 2 balconies. Buyer may receive title fee credit, inquire now! Beautiful beachfront resort! Relax at the beach or enjoy the many activities in the area! Buyer may receive a title fee credit, inquire for details! Just reduced! Motivated seller! Beautiful oceanfront resort! Close to many water based activities & much more! Buyer May Receive A Title Fee Credit! Great suite for a couple's getaway! Week 8 every year! Buyer may receive a title fee credit, inquire for details! Great location close to many attractions! Week 6 every year! Buyer may receive a title fee credit, inquire for details! Price drop! 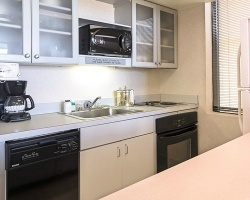 Great onsite & unit amenities for your home away from home!! Annual usage in week 23! Buyer may receive a title fee credit, Make An Offer! 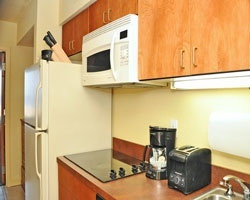 Enjoy staying only a short distance to shops, dining and more! Week 43! Buyer may receive a title fee credit, inquire for details! Come vacation at this beachfront resort during week 13. Buyer may receive title fee credit, inquire today! Motivated Seller. All offers considered!!! Ideal location on the beach! Penthouse suite! Week 26 every year! Buyer may receive a title fee credit, inquire for details! Exclusive! 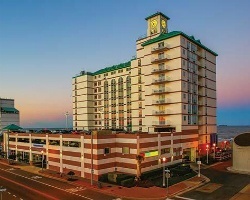 One of just a few penthouses in VA Beach! Great Location. Fabulous trade value with Interval! Buyer may receive a title fee credit! Only a short distance to shops, dining and much more! Week 14 every year! Inquire for details! Stay right on the boardwalk! 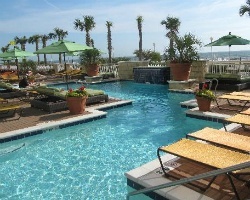 Ideal resort for your annual Virginia Beach vacations! Buyer may receive a title fee credit, inquire for details! Enjoy gorgeous views of the Atlantic Ocean from your private balcony! 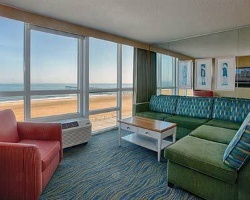 Perfect resort for your annual Virginia Beach vacations! 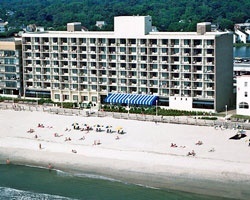 Vacation at this beachfront resort week 18 every year! Buyer may receive a title fee credit, inquire for details! 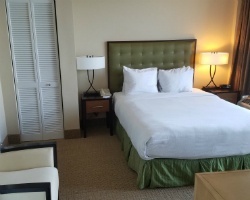 Enjoy peaceful and relaxing vacations at this lovely Virginia Beach resort! Week 17! Buyer may receive a title fee credit, inquire for details! 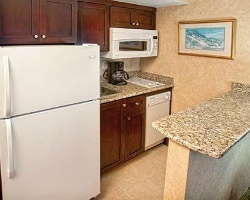 Enjoy being close to Busch Gardens, the beach and more! Week 44! Buyer may receive a title fee credit, inquire for details!